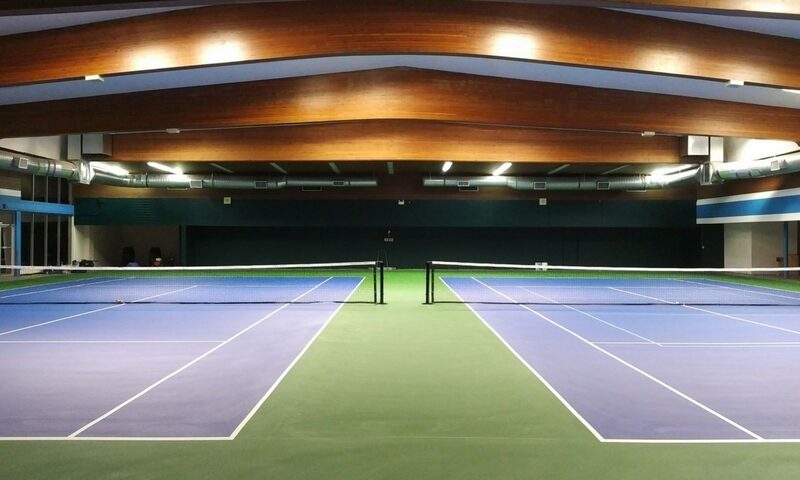 Powell River Tennis Centre’s programs are based on the Play Tennis Canada Rating Scale. Before you register for a course, take a few minutes to rate yourself using the chart below. Find the level that best describes your general level of ability during a match (not in practice). Remember that your results during match play will improve over time, so come back to do a self-rating periodically. 1.0 I’m just starting to play tennis. 1.5 I’ve been introduced to the game, but have difficulty playing due to my lack of consistent rallying and serving. 2.0 I can get to the ball, but lack control so my rallying is inconsistent. I often choose forehand instead of backhand. I have inconsistent returns and tend to position myself to protect my weaknesses. In singles, I’m reluctant to come to the net. In doubles, I understand the basic positions and am comfortable with forehand volleys (but avoid backhand volleys & overhead shots). My toss is inconsistent and my service motion incomplete. Double faults common. 2.5 I can consistently rally 10 balls in a row over the net at moderate speed with an arced trajectory (especially forehand shots). In singles, I can consistently return shots to the middle of the court. In doubles, I have difficulty returning cross-court to start the point. I’m at ease at the net during practice, but still uncomfortable during a game. I try a full service motion on my first service, but it is still inconsistent (< 50%). I use an incomplete motion to ensure a steady second serve. 3.0 I can consistently rally 10 balls in a row using forehands and backhands. I’m able to maintain a moderately paced rally when receiving high, wide or short balls. I can control the direction of the ball when receiving moderately paced serves. I’m very consistent on moderately paced balls to my forehand, but still inconsistent on my backhand. I have overall difficulty with low and wide balls. I have full motion on both serves and can achieve more than 50% success on my first serve; however, my second serve is much slower than the first. 3.5 I can make my opponent move around the court, hit harder when I receive easier balls, and perform approach shots with more than 50% consistency. I can return fast or well-placed serves defensively, return an easier serve with pace or placement, and approach the net in doubles. I’m becoming consistent on volleys & overheads requiring moderate movement. I can direct forehand volleys and control backhand volleys with little offense, but have general difficulty putting volleys away. I can vary the speed or direction of a first serve and can direct the second serve to my opponent’s weakness without double-faulting on a regular basis. 4.0 I’m able to develop points consistently by using a combination of shots; however, I’m erratic when attempting a passing shot or a quality shot from a fast or well-placed ball. I have difficulty returning very fast or spin serves, but I can hit a good shot or exploit my opponent’s weakness on moderately paced serves. In doubles, I can vary returns effectively on moderately paced serves. I can follow an approach shot to net, poach on weak returns and put away easy overheads. In doubles, I can receive a variety of balls and volley offensively. I can vary the speed and direction of the first serve and I can use spin. 4.5 I can use a variety of spins and am beginning to develop a dominant shot or good steadiness. I’m still erratic when attempting a quality shot in two of the following: when receiving fast balls, wide balls or in passing shot situations. I can defend consistently off first serves, but am still inconsistent when trying an aggressive return (< 30%). In doubles, I have difficulty returning a first serve to the feet of the incoming serve and volleyer. When coming to the net after serving, I’m consistently able to put the first volley in play but without pace or depth. Close to the net, I can finish a point using various options including drop, angle and punch volleys. I’m still inconsistent when trying to volley powerful or angled returns. I have an aggressive first serve with power and spin. On second serves, I frequently hit with good depth and placement (without double faults). In doubles, I can serve and volley off first serves but still experience some inconsistency.